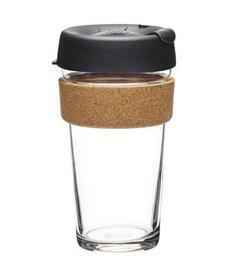 "Made from fully tempered soda lime glass, the KeepCup Brew Cork Edition features a natural cork band. Made in Portugal using waste product from the wine cork manufacture, the band is beautiful to hold. Over time it’s patina will tell the story of your use. 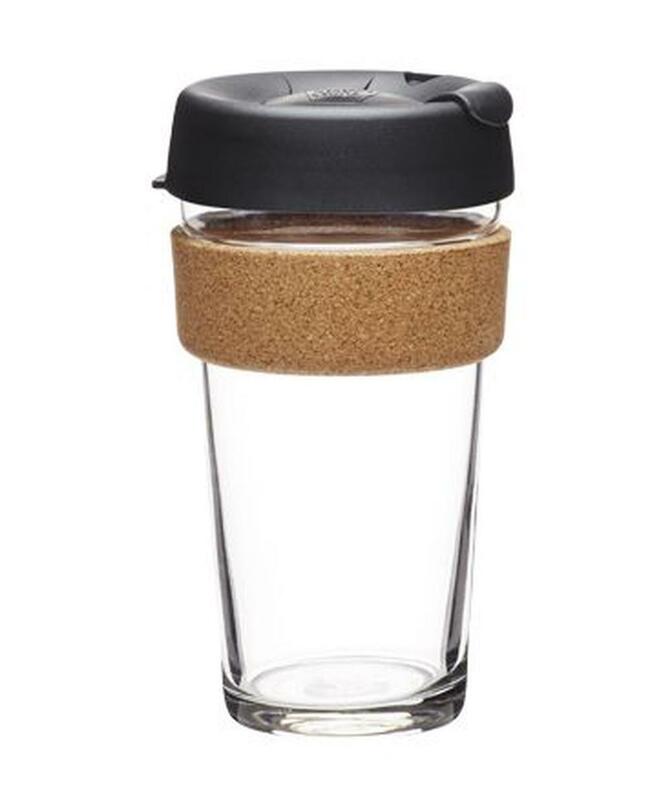 Espresso comes with a cork band, black lid and plug (Pantone black 3c)." I am in the process of attaining a refund as the cup leaks between the glass and the lid. I am really disappointed with this product as I was wanting this cup for a long time and it didn't preform well. Looks great, well made, glass feels durable, holds heat well. Cleaning can be a bit difficult with the cork band.